Cholla bud season is here. When the flower buds swell but the petals are still tightly furled is the time to get your tongs and basket and head to the desert. Although they do take time to clean, cholla buds are worth the energy — they taste a little like asparagus and are very nutritious. Two tablespoons of dried buds contain more calcium than a glass of milk and only 28 calories. They also contain gums and fibers helpful in regulating diabetes and blood sugar issues. 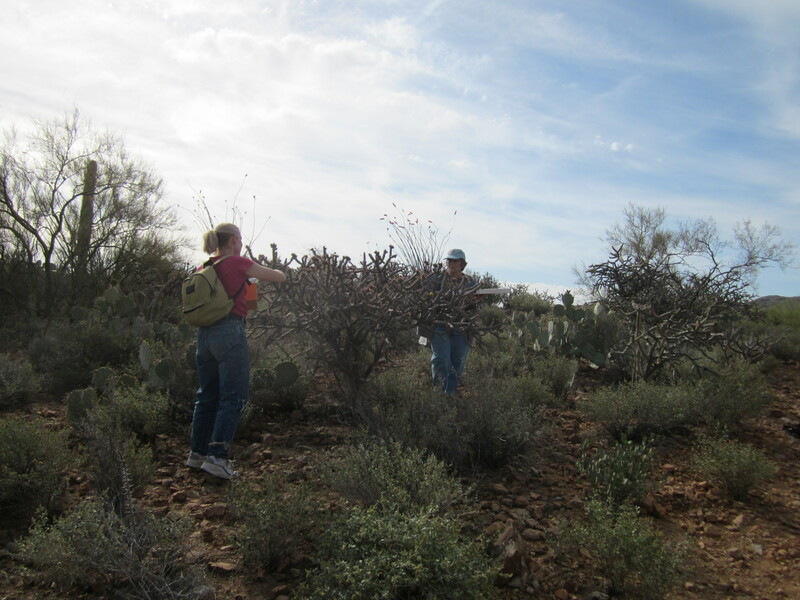 I recently went cholla picking with friends Jenn and Dena. Starting in early morning, we trudged over a rocky hillside looking for the choicest, plumpest buds. It was early in the season so not every plant was ready for harvest. We used tongs and put the picked buds in flat boxes or baskets. If you jumble them in a bag, they pick up stickers from each other and are harder to clean. Back at my house, we spread the buds on hardware cloth (screening with big holes) and blasted them with a propane torch which sizzles the stickers right away. You’ll still have to do some hand picking with a brush and tweezers. Remember to wear leather or rubber gloves. It’s always fun to learn something new. The propane torch method of cleaning stickers was last year’s innovation. 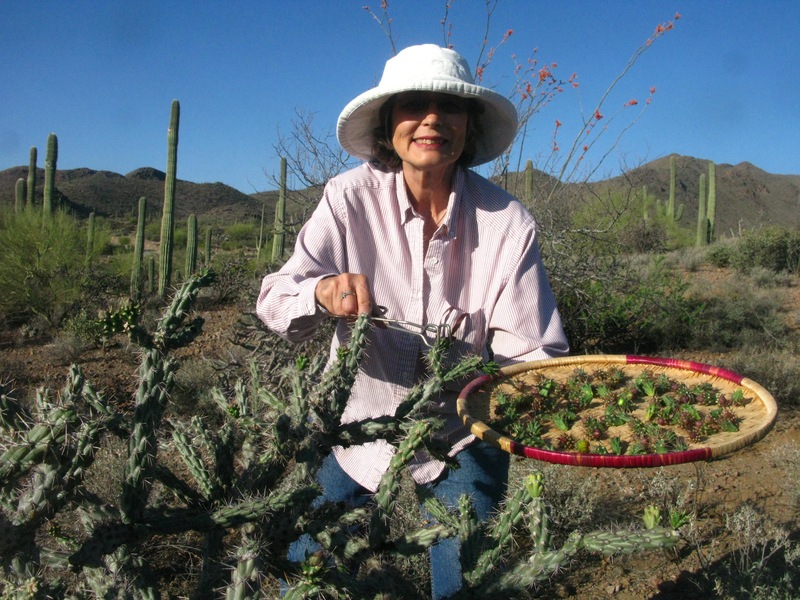 This year, my friend Connie Lauth who lives on the desert has come up with an improved method of cooking the buds. She puts them into a ceramic container with a lid, adds a couple of teapoons of water and microwaves them on high for about six minutes. They come out tender with no sign of the gumminess that is sometimes unpleasant. Preserves the vitamins, too. 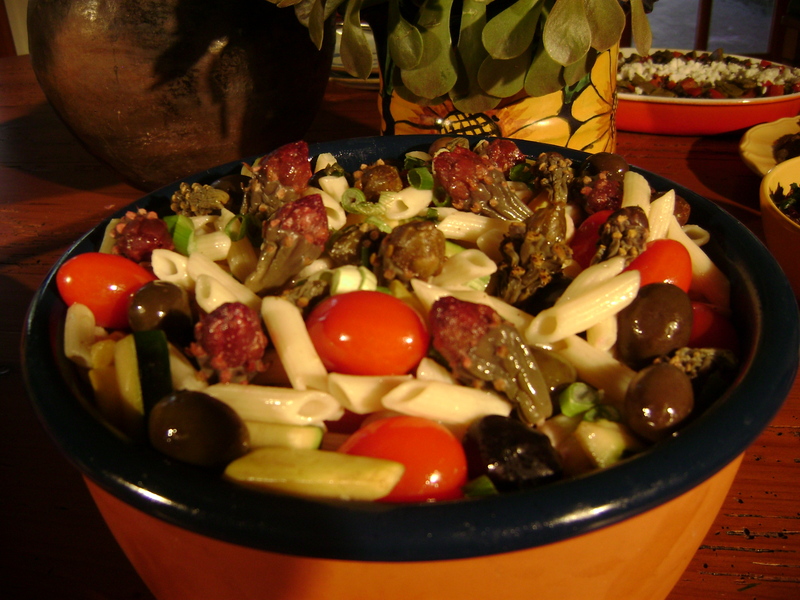 Once you have cooked buds, you can incorporate them into vegetable dishes like the pasta primavera pictured below. My new book Cooking the Wild Southwest: Delicious Recipes for Desert Plants has several great recipes for cholla buds, including Cholla-Bud Quiche, Heritage Salad (with wheat berries), and French Bean and Cholla-Bud Salad with Sherry Vinaigrette from the Tonto Creek Bar and Grill in Cave Creek, Arizona. 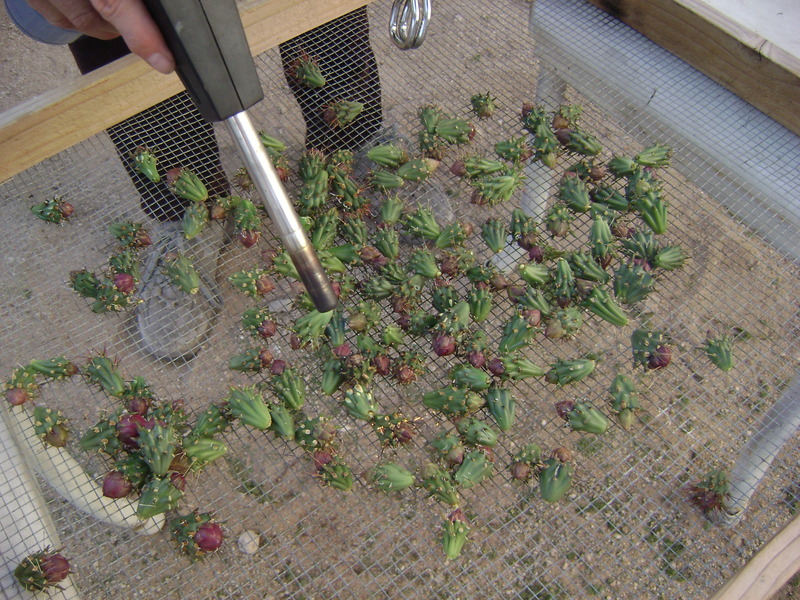 Please feel free to share any recipes for cholla buds or cooking or cleaning methods you have developed. We all learn from each other. I always thought that we were supposed to wait until after the cholla had bloomed? Did I get that wrong? I am definitely going to check out the Cave Creek restaurant. Cholla buds need to be picked when the flower petals are tightly furled or the petals will fall off when they are cooked. You may be confusing the buds with the fruits which will develop over the summer from the section under the petals. They will turn anywhere from yellowish green to bright gold as they ripen. I wonder if Tonto Bar and Grill has the cholla bud-green bean dish on their menu now. It sure is the right season!